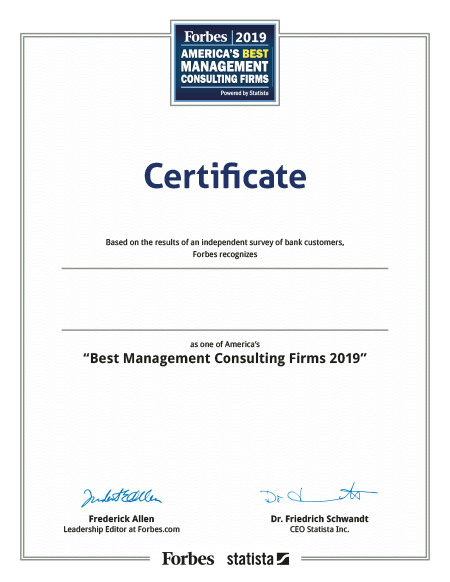 For the ranking of "America’s Best Management Consulting Firms" the following market defintion was established: Along with classic management consultancy firms, IT consultancies and advisory branches of auditing firms (e.g. KPMG Advisory) consultancy branches of technology companies (e.g. IBM, Lockheed Martin) were considered. 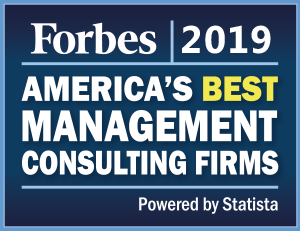 In 16 different industries and 16 functional areas the most recommended management consulting firms were identified. They were then sorted into three different star classes based on the number of recommendations they have received from the two surveys. Recommendations from last year's surveys were also considered with a lower weighting, since the quality of a consultancy usually doesn’t significantly change within a year.